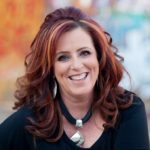 Kelly Swanson is a motivational keynote speaker, comedian, award-winning storyteller, Huffington Post Contributor, and cast member of “The Fashion Hero” television show airing on Amazon Prime. She is also author of “Who Hijacked My Fairy Tale” and “The Story Formula.” Kelly’s wacky wit and powerful stories have charmed hearts and tickled funny bones for over 15 years. Why stories are important in business? We’re all in the business of persuasion. No matter what you’re selling and whom you’re selling to, people buy from people they like, trust, and feel they know. Stories are the best tool to take facts and data into people’s hearts. In business this is strategic storytelling. A story is a tool, a strategic tool. Stories are about real life situations: people with problems that are solved, and the lesson on it. What is the most difficult thing when crafting stories for a business? People get stuck before they ever sit down to start a story. People are just looking for a good story without knowing why they are telling it and what the tool needs to do. Stop looking for the best story. Make yourself write: do journal, write articles, write every day.